In my opinion, this is definitely one of those books that anyone who is serious about weight loss and health should own. It offers a holistic approach and level of detail that will certainly help you understand why we get fat and what we can do about it. It is also very well priced at around R 190 for 180 pages worth of good content. To find all this information in one place and written in an easy to understand way is a real bonus. This book has the potential to make a really positive contribution to the numerous South Africans who are struggling to lose weight, or who want to take their Banting diet to the next level. The author, Martina Johansson, is a Swedish biophysicist, biomedical engineer, fitness athlete and low carb nutrition expert. She therefore brings a wealth of knowledge to this topic that goes way beyond the perfunctory “eat this and not that.” Martina also makes a very strong case for why the ketogenic diet is far superior for achieving fat loss as well as optimal health. Her own story back to health, which she describes at the beginning of the book, is an interesting one. Although she never carried excess weight, she struggled with constant fatigue, low attention span, weak muscles and poor health. At that stage she was a vegetarian living on carbs and caffeine. Martina was able to totally transform her health and body with a low carb, high fat diet and the right kind of exercise. 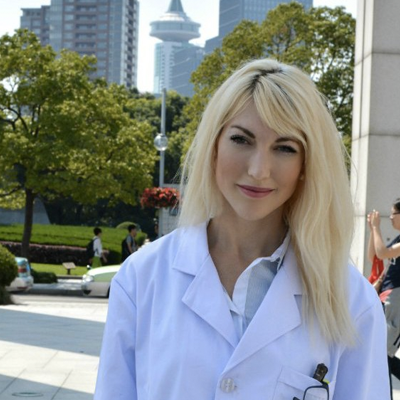 Her passion to educate people towards optimal health is evident in the pages of her book. This book will appeal to the keto-newbies as well as those who have been at it a while. 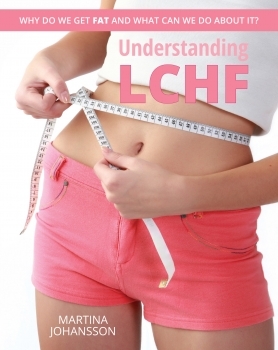 It certainly isn’t an “Intro to LCHF” book, but delivers on its very apt title, “Understanding LCHF”. The book delves into the fascinating world of metabolic pathways, biochemistry, and why weight loss is essentially about the hormonal response of our bodies to certain foods. It might sound complicated, but she explains everything very well. I love that Martina included a chapter on keto-adaptation and blood sugar monitoring, as this is an important piece of the puzzle when it comes to stubborn weight. Using a simple glucometer and aiming to get your blood sugar down to around 4.5 mmol, could mean the difference between fat loss and weight that won’t budge. The book explains that there are other factors at play (besides too many carbs), that could be driving your blood sugar above the ideal range for fat loss – stress being one of them. With regards to dairy, nuts, alcohol, caffeine and poor quality sleep, she is not afraid to gently speak the truth (however unpopular it may be). The chapter on cholesterol will be very enlightening for those concerned about their latest blood test results. It explains what the ideal ranges should be and provides good advice for assessing your risk for heart disease. Besides the solid theory, the book also provides different strategies for getting into ketosis, various ways to test your level of ketosis as well as practical tips for when fat-loss is alluding you. Still think carbs are required for training and muscle development? Think again as this misunderstanding is discussed, explained and cleared up once and for all. Are you an endurance athlete? You will want to hear what she has to say about how a ketogenic diet can result in superior performance. Whether you are into chronic cardio or have been a couch potato up until now, the book gives very practical advice and simple illustrations for getting started with exercising efficiently. The resistance training exercises she recommends will help you burn fat, build muscle and improve your body shape. The ketogenic diet is not a quick fix, but a lifestyle. It can definitely be challenging for some people, as it requires a completely new way of thinking and relating to food. Martina also makes it very clear that no two individuals are alike and experimentation is key. YOU have to do the work. However, she provides enough information and practical tools and tips to keep you motivated on your keto journey. The book also lists the many reasons why you might be having trouble keto-adapting. This list is very helpful in steering you in the right direction for further investigation. Did you know that low stomach acid, elevated cortisol, a clogged liver, allergies, vitamin D deficiency, or leaky gut to name a few can all hinder your weight loss? While she doesn’t go into any detail about these topics, it is still useful to have them included in the book. Very often when a diet is not working for someone, they either blame the diet, or they think they are doing something wrong and put the blame at their own feet. Neither of these scenarios is necessarily true or fair. Sometimes there is a health issue that needs to be sorted out first before the weight will come off. Most people who have attempted to lose weight have to eventually deal with the dreaded plateau. It is encouraging to read that weight loss isn’t linear and stalls are completely normal. She describes tactics and tweaks to experiment with that can help get your fat loss going again. Even though this is not a recipe book but rather a comprehensive “how to” manual for achieving ketogenesis, there are a few basic recipes included at the back of the book to get you started. The recipe for homemade mayo uses rapeseed (canola) oil, which is a little disappointing. There is a disclaimer saying that it is not the best choice when it comes to oils, but goes on to say that because homemade mayo is used in small quantities and is devoid of the additives usually found in store-bought mayo – it makes it OK . I personally think the best choice would have been to use light olive oil or avocado oil for this recipe. It surprised me that she did this especially since the book has an entire chapter devoted to good and bad fats, where it states that canola oil is bad for you. Food lists have been included to help the uninitiated to get started with what foods to buy and eat. The book ends off with some wise words on honesty and perseverance, which are personality traits that I believe separate the victors from the victims. I would definitely recommend this book for its level of detail, ease of reading and comprehensive coverage of what a healthy LCHF/ketogenic diet entails. If you are serious about harnessing the power of this controversial way of eating to lose weight and achieve excellent health, this book is a great resource. If you are looking for a recipe book, this is not the one for you. Here is a link to purchase the book. Posted on August 23, 2016, in Book review, Primal 101 and tagged Banting, Book review, fat loss diet, how to lose weight, ketogenesis, ketogenic diet, LCHF diet, Martina Johansson, Understanding LCHF. Bookmark the permalink. 2 Comments. Very impressed that I received this email seconds after seeing it on Facebook.